Rounding off a great afternoon at the Walker’s Art in Revolution we visited Like You’ve never been away featuring Paul Trevor’s photographs documenting deprivation in 1975. 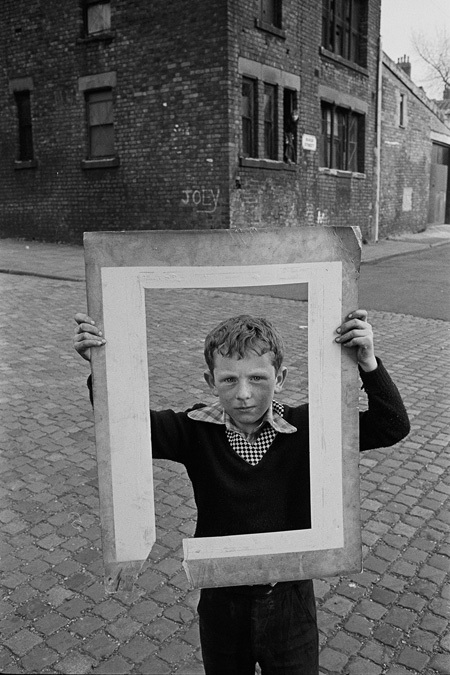 58 black and white images on display for the first time show Toxteth and Everton as places almost unrecognisable now. A BBC docimentary showing at the exhibition sees Trevor revisiting the areas and being welcomed by many who remember him, one saying it’s “like you’ve never been away.” With the help pf residents he managed to track down some of the subjects of his photograph. Poignantly, the young ten year old pictured in the pubicty for the exhibition died at the age of 20, as Trevor found out talking to the boy’s older brother. Watch a short BBC documentary extract and read more here.